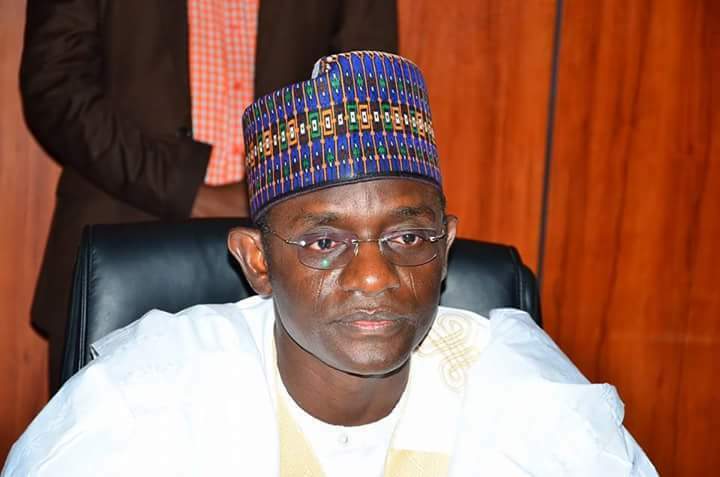 Thousands of political supporters and allies of late Senator Usman Albishir have endorsed the All Progressives Congress (APC)’s governorship candidate in Yobe state, Malam Mala Buni. This was disclosed by the leader of the Albishir’s political camp and Nguru-born businessman and philanthropist, Alhaji Abdullahi Balarabe on Tuesday. He said the entire political camp of the late senator will be received at a rally scheduled for Thursday in Nguru. The event, which is expected to have the Yobe Governor Ibrahim Geidam in attendance, will see the governorship candidate of the APC in the state, Mai Mala Buni formally receiving Balarabe as well as thousands of Albishir’s core political allies. Beside close political associates of the late senator, two scions of the Albishir dynasty, Sadik Albishir and Mohammed Albishir are also expected to be received at the event. Others to be received include; Zanna Umara Machina, Alhaji Hassan Ibrahim, Isa Yusuf and Madu Kachallah Nguru as well as Bulama Usman Abande Yunusari, Yaskuma Meleh Geidam, Isah Maidodo Nguru, Umaru Abubakar Nangere and Mallam Ahmed Potiskum. Speaking on plans for the event, Alhaji Balarabe said about 500,000 supporters of the late Senator would be returning formally to the APC ahead the 2019 elections to ensure victory for the APC in the state.